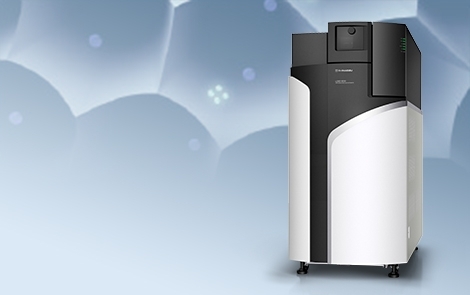 LCMS-9030: A Q-TOF of Shimadzu’s engineering DNA! Ultra-fast (UF) acquisition rates and core ion beam technologies developed for the triple quadrupole platform has opened-up new possibilities in quantitative mass spectrometry. The new LCMS-9030 Q-TOF builds on this proven platform by rethinking time-of-flight detection. In the LCMS-9030, core ion beam technologies transition towards a unique approach in ion gating using UFaccumulation to create a precise pulse of ions into the flight tube. At ASMS 2018, the global preview of the LCMS-9030 QTOF technology will take place. To find out more take at look at our events. At IMSC 2018, find out more at the European launch of the LCMS-9030 QTOF technology. IMSC 2018 will be held in Florence, Italy from 26th to 30th August 2018. Download the LCMS-9030 QTOF brochure. Transforms high mass accuracy workflows bringing together high sensitivity, high speed and high-resolution detection. Highly stable mass accuracy reduces the need for mass calibration routines and simpiflies routine workflows. Primary drivers for high sensitivity are the core ion beam technologies developed for TQ systems. However, the key challenge in QTOF designs is to transform an ion beam into a precise pulse to maximize sensitivity and mass resolution. UFaccumulation™ | UFaccumulation™ brings together a new way of engineering innovation with a high mechanical strength gating system designed for high acceleration voltages and high capacity ion pulses. iRefTOFTM | A computationally ideal electrostatic field which delivers the highest possible resolution for the time of flight path.